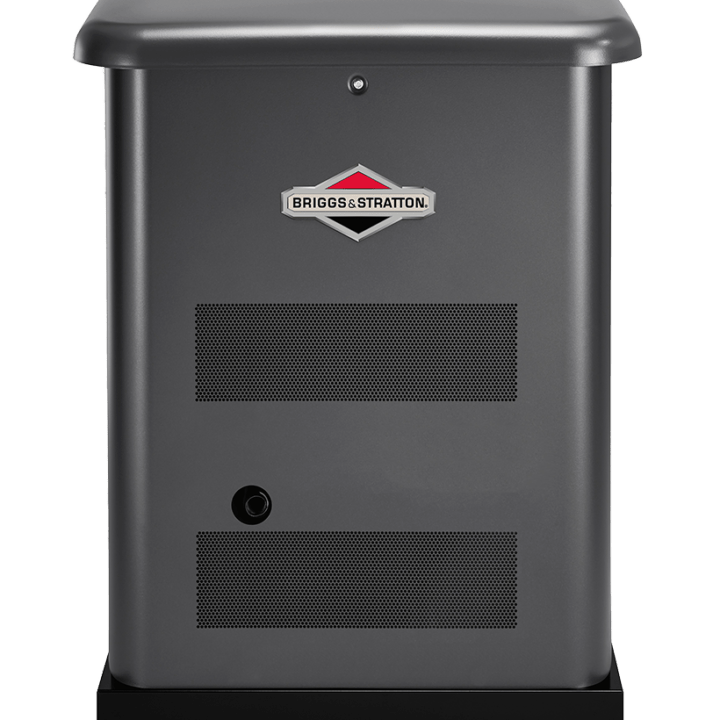 The Briggs & Stratton 12kW Standby Generator is 50% smaller than the previous Briggs & Stratton 12kW Standby Generator. It is also 60% quieter than our previous 12kW generators. The unit is easy to move into installation location with a two-wheel dolly. 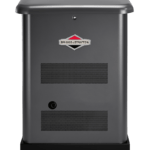 Our generator is approved for installation as close as 18″ to a building. With a removable roof and side panels, it provides better service access to the engine and alternator. 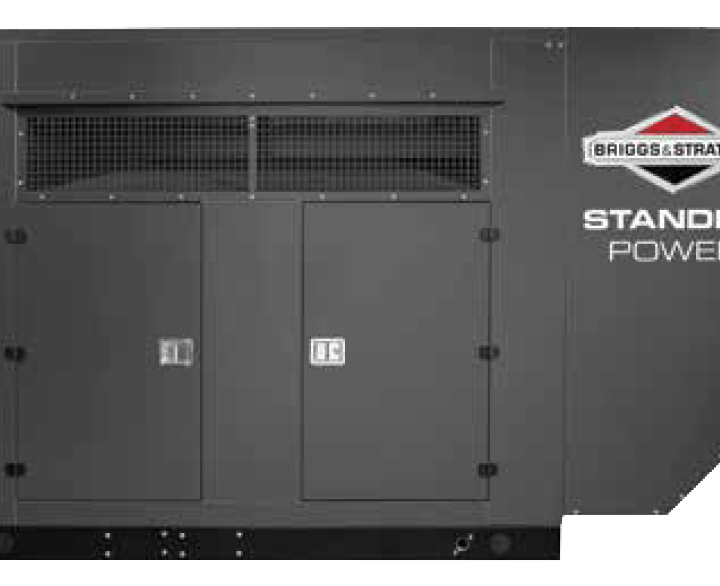 The smallest generator footprint in its class is perfect for small properties. 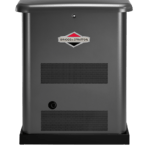 The patented Symphony™ II power controls provide a managed power solution that gives you access to every powered item in your house, just not at the same time. By using power management modules, appliances become prioritized and turn on and off based on need and the electrical load placed on the generator. 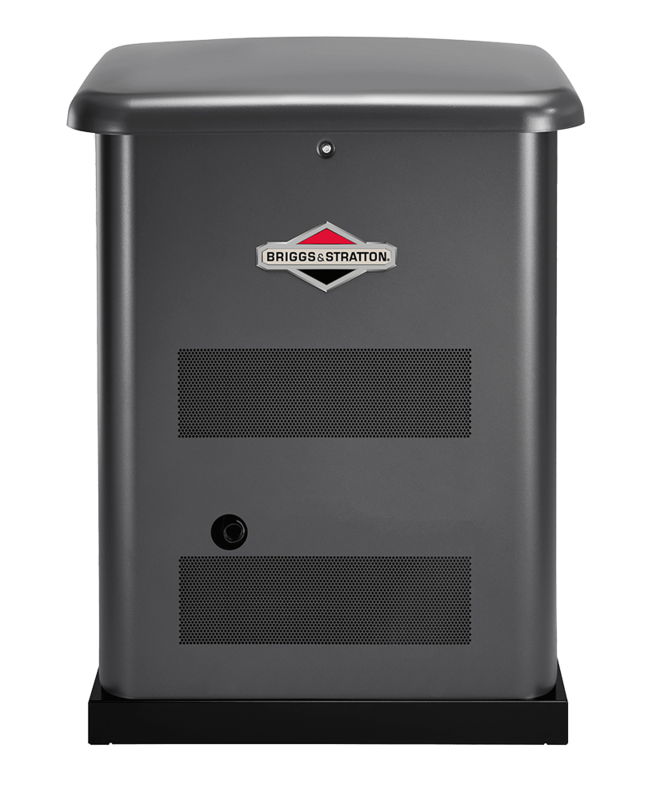 The Briggs & Stratton 12kW Standby Generator has a powerful V-Twin OHV engine. With easy conversion between natural gas (NG) and liquid propane vapor (LP) during installation. 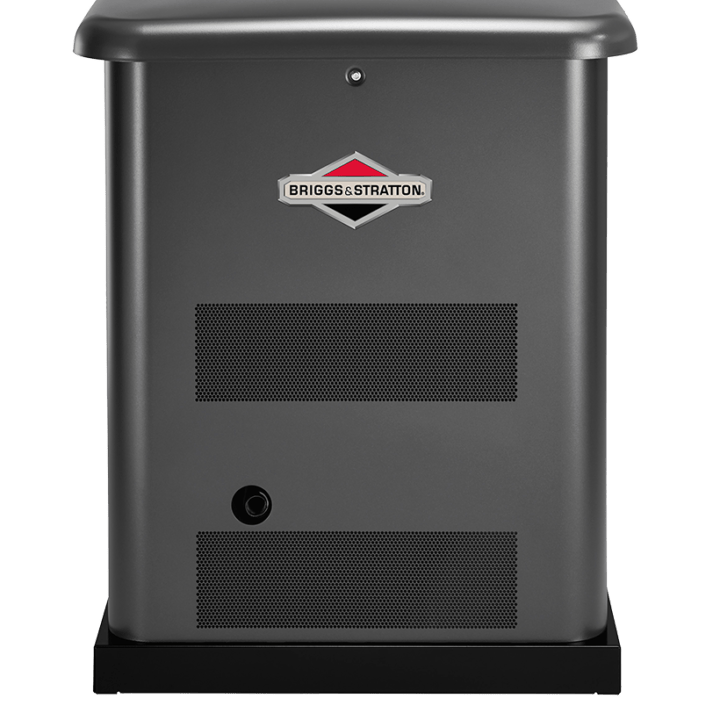 Our generator ensures your electronics are safely powered. 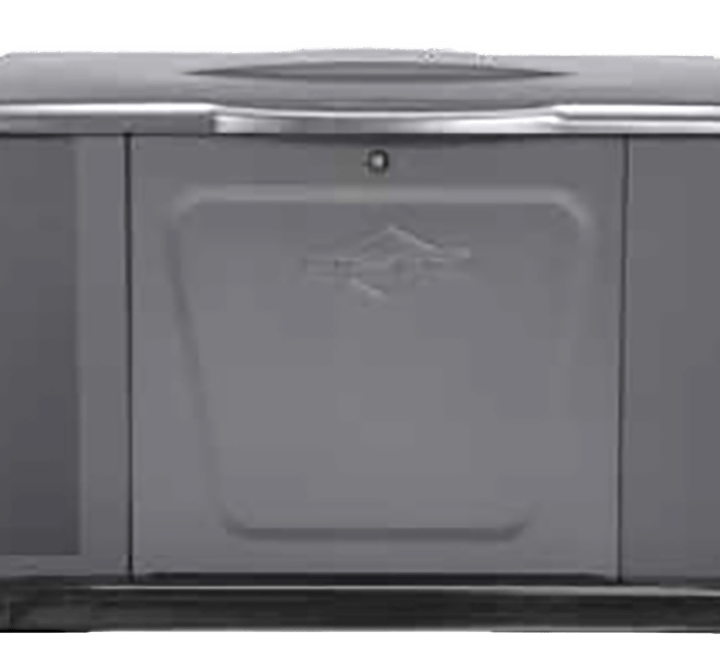 Our enclosures are made from the same rust-resistant, durable Galvanneal steel and paint process that is used in the automotive industry, resulting in years of protection against chipping and abrasions. 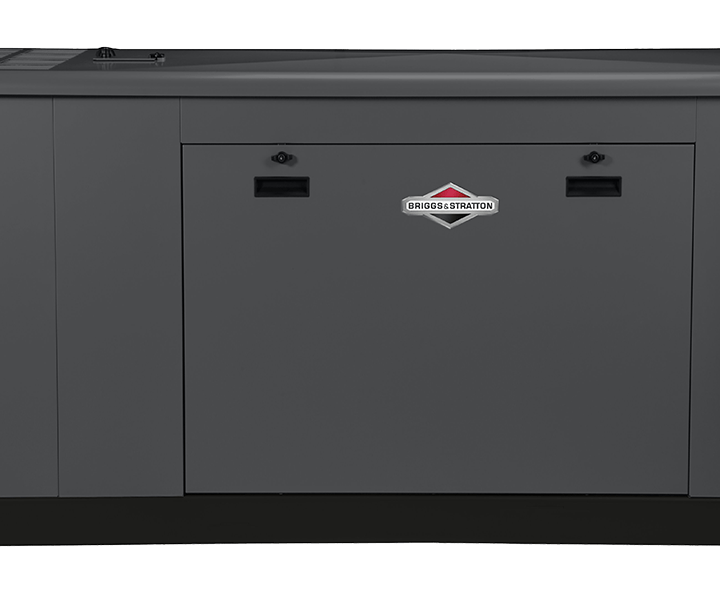 This generator is rated in accordance with UL (Underwriters Laboratories) 2200 (stationary engine generator assemblies) and CSA (Canadian Standards Association) standard C22.2 No. 100-04 (motors and generators). Warranty details available at www.briggsandstratton.com. Warranty details available at www.briggsandstratton.com. Fuel consumption rates are estimated based on normal operating conditions at ½ load. Send us your information and Patrick will set up an appointment with you to discuss your interest in our products and services. Plus, filling out this form makes you eligible for a discount! The information you provide will only be used in-house to contact you about any products or services you may be interested in. We will not use your information for any other purposes.